Apply software-inspired management concepts to accelerate modern marketing§§In many ways, modern marketing has more in common with the software profession than it does with classic marketing management. As surprising as that may sound, it's the natural result of the world going digital. Marketing must move faster, adapt more quickly to market feedback, and manage an increasingly complex set of customer experience touchpoints. All of these challenges are shaped by the dynamics of software--from the growing number of technologies in our own organizations to the global forces of the Internet at large.§§But you can turn that to your advantage. 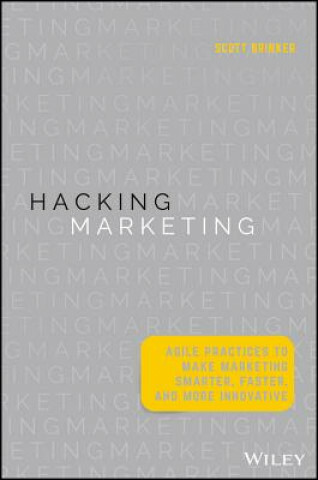 And you don't need to be technical to do it.§§Hacking Marketing will show you how to conquer those challenges by adapting successful management frameworks from the software industry to the practice of marketing for any business in a digital world. You'll learn about agile and lean management methodologies, innovation techniques used by high-growth technology companies that any organization can apply, pragmatic approaches for scaling up marketing in a fragmented and constantly shifting environment, and strategies to unleash the full potential of talent in a digital age.§§Marketing responsibilities and tactics have changed dramatically over the past decade. This book now updates marketing management to better serve this rapidly evolving discipline.§Increase the tempo of marketing's responsiveness without chaos or burnout§Design "continuous" marketing programs and campaigns that constantly evolve§Drive growth with more marketing experiments while actually reducing risk§Architect marketing capabilities in layers to better scale and adapt to change§Balance strategic focus with the ability to harness emergent opportunities§§As a marketer and a manager, Hacking Marketing will expand your mental models for how to lead marketing in a digital world where everything--including marketing--flows with the speed and adaptability of software.